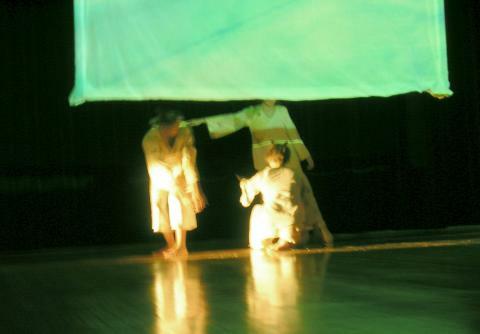 an interdisciplinary dance/visual/music presentation conceived and choreographed by sandy mathern-smith of denison university. 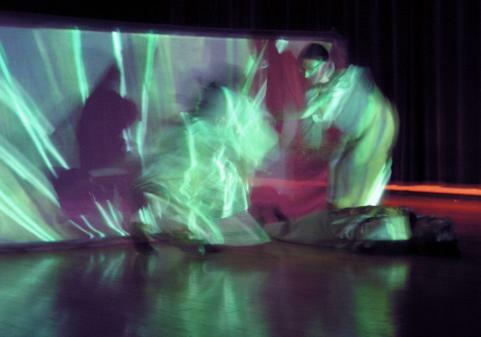 8pm each night, in the doane dance building at denison. i played electric viola and electronics in the ensemble with aaron fuleki and jared thompson, led by kathleen pierson. 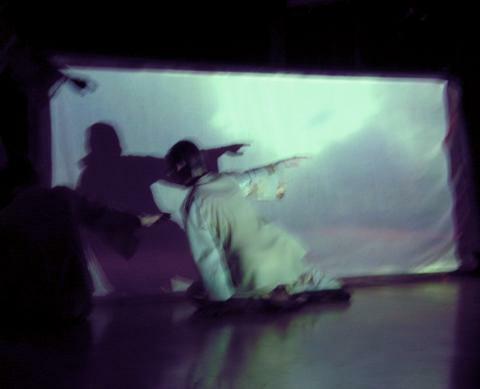 for the performance i also designed the realtime video sequencing/mixing system played by alexander mouton. the video sequencing/mixing system was a cluster of high-performance athlon machines running the linux operating system, using a software package i wrote (with some assistance from chris wright). after a few more development iterations, we intend to release the engine as an opensource project. 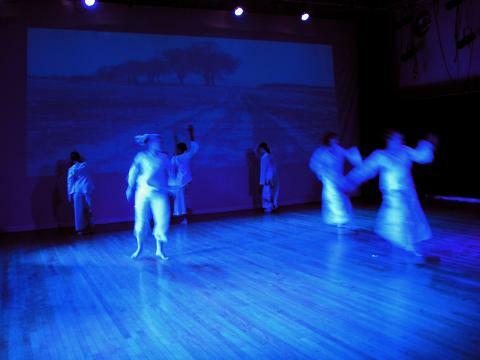 the images on the flying projection screens and cyc are manipulated in realtime in conjunction with the improvisational dance and music sequences.